The Defence Headquarters (DHQ) has announced the establishment of the office of Campaign, Planning and Coordinating Centre for the Naval Component of the military operation in the North East. 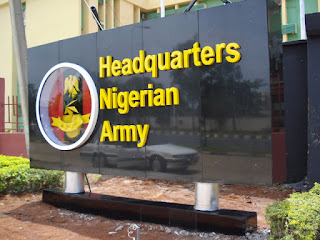 A statement issued by the Defence Spokesman, Brig.-Gen. Rabe Abubakar in Abuja on Wednesday noted that the Chief of Defence Staff (CDS), Gen. Gabriel Olonisakin had also approved the establishment of a Theatre Media Office to coordinate operational activities of the military in the region. Abubakar said that the establishment of the new offices by the CDS was part of the restructuring of the Defence Headquarters operations for greater effectiveness. “The Theatre Media Office will interface with the media and the general public in the North East,” Abubakar said. He added that the restructuring was aimed at injecting new tactics and robust initiatives to attain efficiency and professionalism in major operations coordinated by the Armed Forces of Nigeria. The spokesman quoted the CDS affirming the commitment of the military to continue to fight for the unity of the nation, as well as against vices such as terrorism, oil bunkering, cattle rustling and others. The statement also advised citizens to be wary of the latest tactics of terrorists to perpetuate their evil acts, especially in Mosques, Churches, market places, motor parks and social gatherings. He said that the CDS had also commended the sacrifices of troops in the North East and promised that their allowances, entitlements and other required logistics would not be denied them.